Melbourne. Probably in Brighton near the beach. Then I could have huge luxury parties with French champagne and oyster stations and we could dance the night away in my grand ballroom. The views over the water would be breath taking and I would hire my mansion out for functions like weddings and other grand parties. 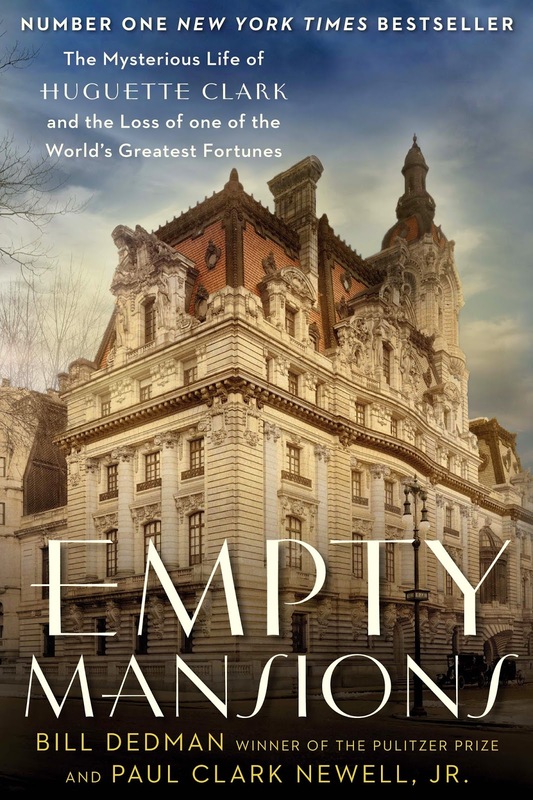 Congratulations Hols24, please email me with your postal address by midnight Friday 28th November and I'll send your prize to you right away; a brand new copy of Empty Mansions - The Mysterious Life of Huguette Clark by Bill Dedman & Paul Clark Newell Jr. Thanks again to all those who entered and to Allen & Unwin for supplying the prize. I'll be running another book giveaway soon, so stay tuned and Carpe Librum! Happy Reading and thanks for supporting Carpe Librum.